In a small bowl, combine the bay leaves, salt, cayenne pepper, ground black pepper, ground white pepper, cumin, and nutmeg; set aside. Melt the butter or margarine in a saucepan over medium heat. Add the onion, bell pepper, green onions, garlic, hot pepper sauce, Worcestershire sauce, and reserved seasoning mix. Saute until mixture starts sticking to the bottom of the pan, about 6 minutes. Stir in the milk and ketchup; continue cooking for 2 more minutes, stirring occasionally. Remove vegetable mixture from heat, and allow to cool to room temperature. Place the beef and sausage in an ungreased 9x13 inch baking dish. Add the eggs, the vegetable mixture, and the bread crumbs. Remove the bay leaves. Mix well by hand, and form into a loaf about 1 1/2 inches high. Bake uncovered at 350 degrees F (175 degrees C) for 25 minutes. Then raise heat to 400 degrees F (200 degrees C) and bake for another 35 minutes. Let stand for 5 minutes before serving. If only my mother could have made meatloaf this good. Requested over and overy by the family. 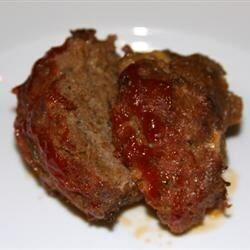 I love this recipe and I love any type of meatloaf. My family hates it. I thought maybe they would like this one, they didn't. Hard crowd to please. I loved it! Thanks for sharing it with me.